John William Bentley, American (1880-1951). ​​​A student at the Art Students League with George Bridgman, Frank DuMond, and Robert Henri, John Bentley became a landscape painter. 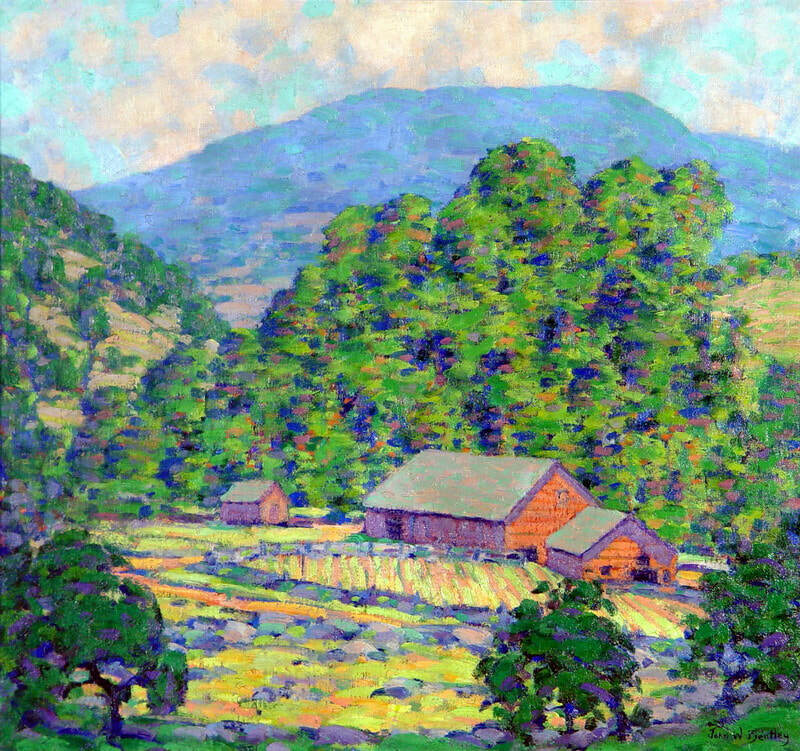 He was an early member of the Woodstock Art Colony, and exhibited at the Buffalo Society of Artists. He was also a WPA artist. While in Woodstock, Bentley made several trips to California and the Monterey Peninsula. His work is in several buildings in New York City and the Dutch Reformed Church of Woodstock. John W. Bentley is best loved for his impressionistic landscapes of the countryside, bridges and mountains. Note his use of small strong strokes and depth-defining color. The farmhouse appears to be a shade of red but upon closer inspection the colors change due to the surrounding color and painting style.